Stylish leg with four chrome feet and a chrome column. Available in dining and coffee table height. Suitable for table tops up to 700mm round or square. Easy assembly. 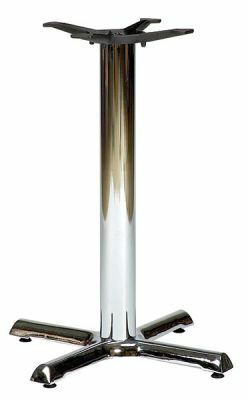 Commercial café table base with four chrome legs and a beech, black or chrome column to choose from. This range of furniture has been manufactured to a very high standard for use in vigorous environments.